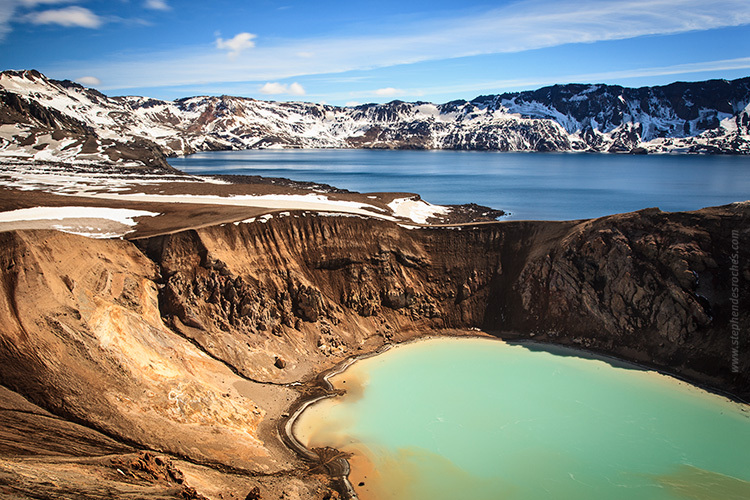 For many years now, Askja has been the most popular excursion from Lake Mývatn and one of the top destinations in Iceland. 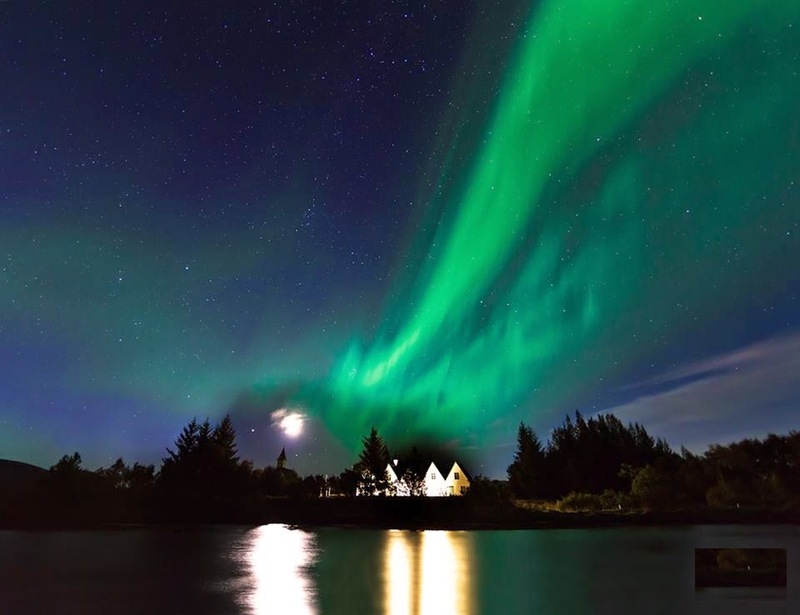 You will travel through the largest wilderness of Iceland, filled with marvels of nature, driving across lunar landscapes where US-astronauts trained before they ventured to the moon in 1969. You will see scenes of unforgettable nature and exiting geology. Askja, the huge caldera, is still in the making through bedrock subsidence above a deep-seated magma source. 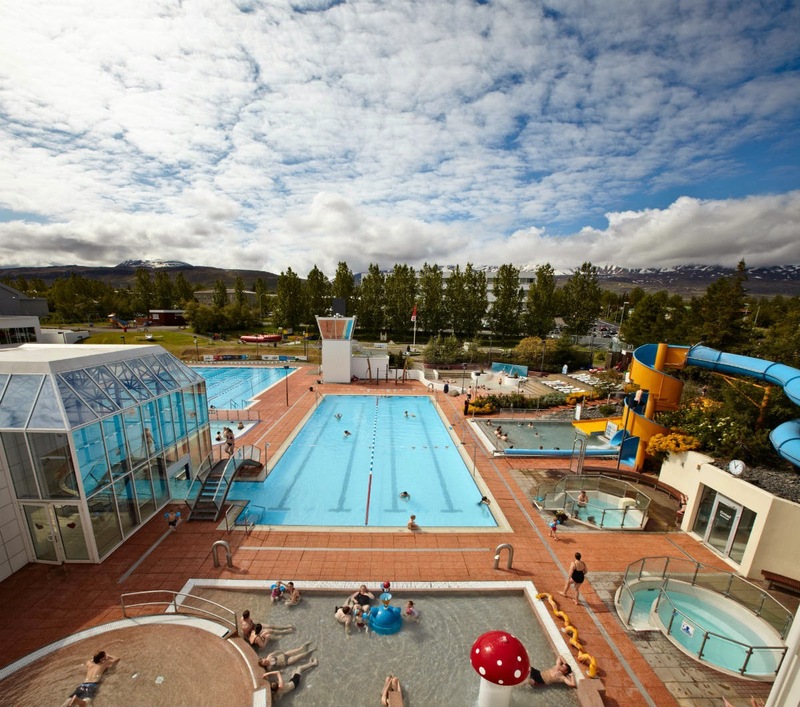 It lies centrally in the mountain massif Dyngjufjöll and is an active centre of a volcanic system. Askja was not explored until the 19th century. In 1874-1875 there was a series of volcanic eruptions in the system, culminating in a very powerful eruption. Some 2 billion cubic metres of ash and pumice where blown from vents now on the bottom of Lake Öskjuvatn . This 11 sq. km-lake formed within a few years, following the event. 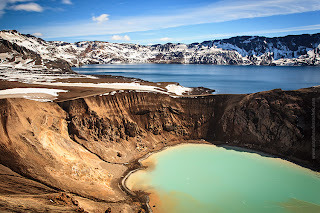 It is the deepest lake in Iceland, 220 m. The latest eruption in Askja occurred in the autumn 1961. We recommend you to walk at the slopes of a 1961-crater. An easy 30-min.-long walk leads you to the explosion crater Víti (Hell) at the rim of Lake Öskjuvatn. A small, milky and warm lake adorns the crater. 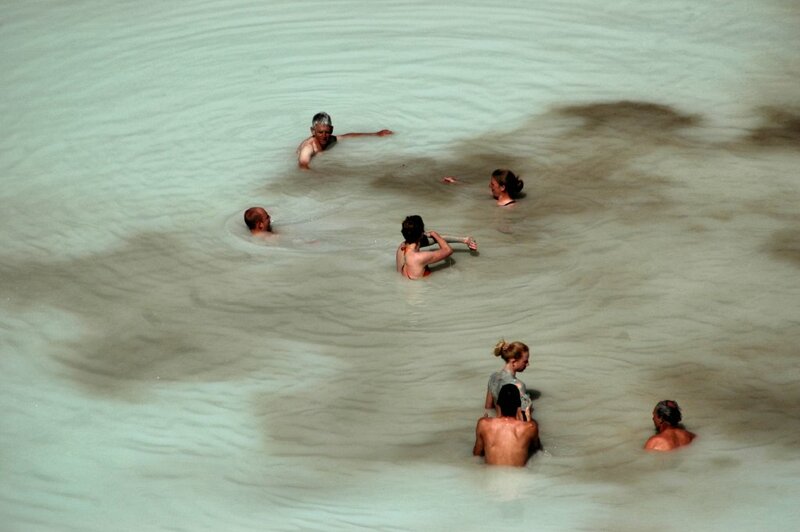 Amazingly, it turns into a heaven if you care to take a bath in it. After enjoying the unearthly quietness and bizarre landscape our passengers return to the bus. Víti is a popular bathing site, but if you intend taking a dip, please be aware that the sloping path is very slippery in wet weather. 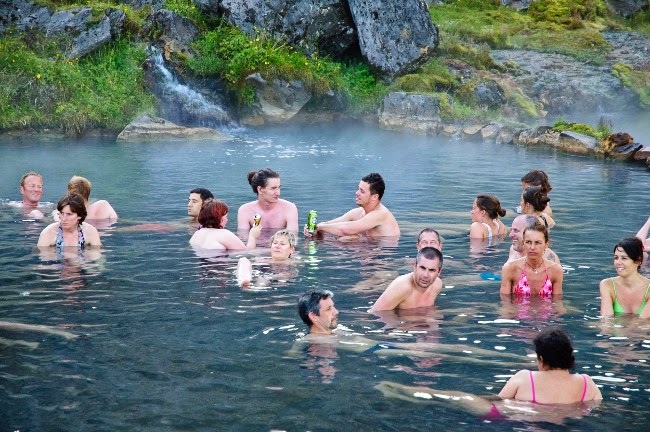 Route back to Lake Mývatn, you could make a stop is made at Herðubreiðarlindir where clear water flows from springs in an old lava flow. 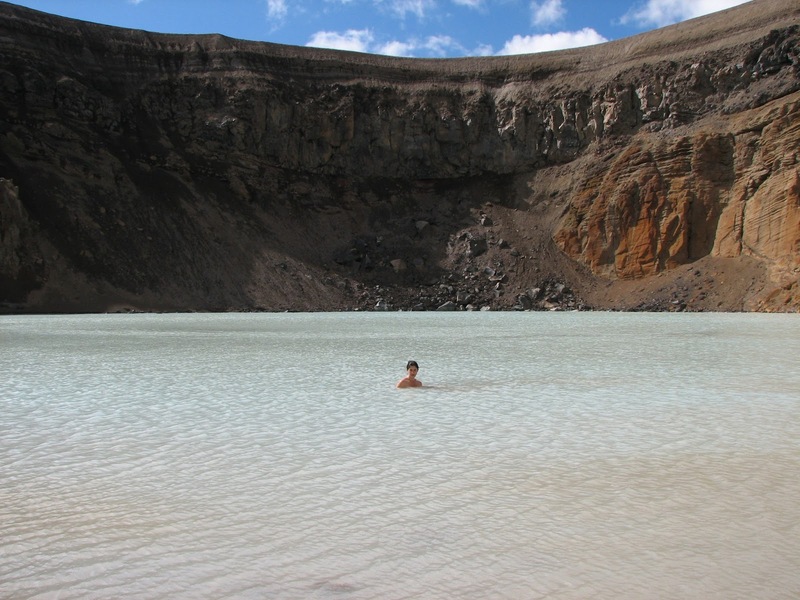 The springs sustain beautiful vegetation and form small ponds providing conditions for flowering plants and birdlife in the otherwise barren, volcanic landscape. The high bulk of the old sub-glacial volcano (tablemountain) Herðubreið (1682 m) rises about 3 km distant and provides a breathtaking background to this wilderness oasis. Askja is a 50 km2 caldera in the Dyngjufjoll mountains. 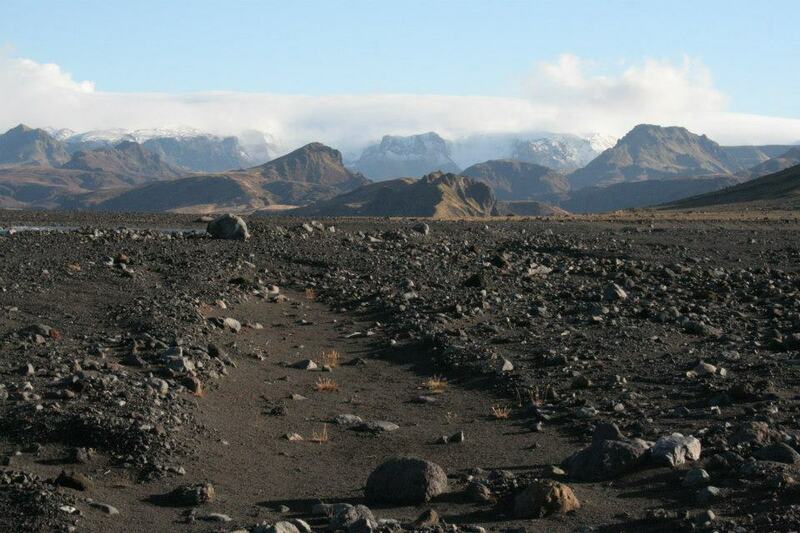 The mountains emerged in eruptions under an Ice Age glacier cap. 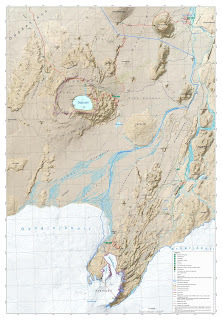 Askja itself was formed, for the most part, at the end of the Ice Age in a major ash eruption which caused the roof of the magma chamber at the heart of the central volcano to subside. Askja is a part of Vatnajökull National Park. The caldera contains several volcanoes, including Víti (explosive volcanic crater). Water has accumulated in the crater, its temperature is variable - it is around 30°C on average. The road to Askja goes from road 1 to road 901 and onto mountain road F905. Onward to F910 to Drekagil. On this route there are two fords to cross, usually small. From Drekagil goes mountain road F894 (8 km) to the car park at Vikraborgir. 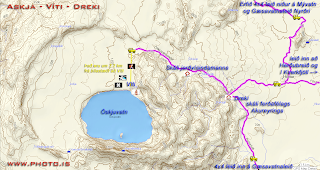 Another option is to go from road 1 to mountain road F88 via Herðubreiðarlindir to Drekagil. On this road ther are fords on the rivers Grafarlandsá and Lindá that need to be crossed. 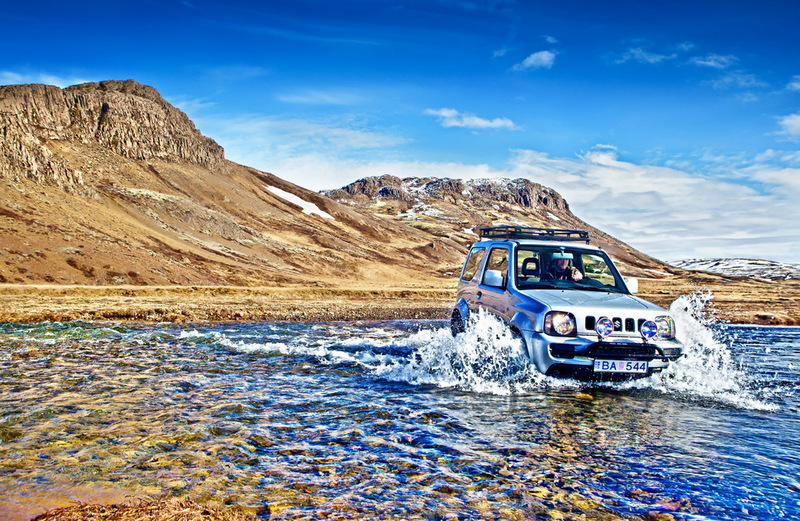 The fords can be difficult or even impassable for small jeeps. HOW TO DRIVE ON F ROADS? So what do you have to keep in mind when planning a trip to the highlands? -You have to be driving a 4x4 vehicle. -It is strongly advised that people travel together in 2 or more cars. -You should check information about the conditions of the roads before you start your journey. It is best to call 1777 or check www.road.is. -Make sure that the F road you plan to travel on is open for traffic. -Driving outside of the roads in the highlands is strictly forbidden. 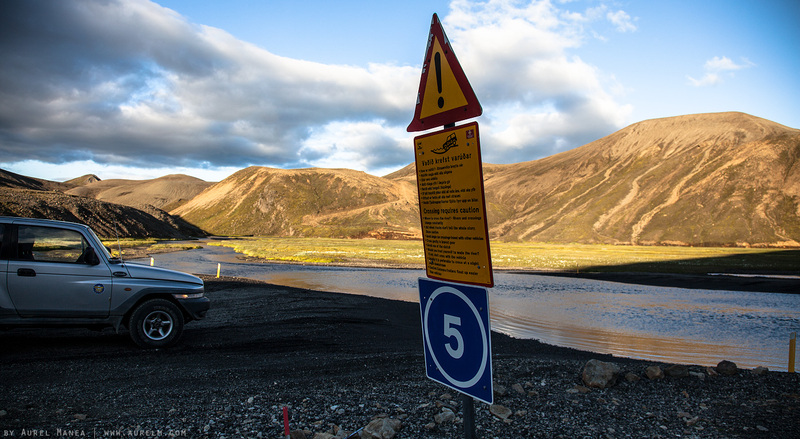 Actually, driving off road in Iceland is always forbidden! -Buying a detailed map of the route you will be travelling is much better than using the standard free map you can get at tourist information centers and gas stations. This is not necessary but can be very helpful. -Whenever possible, try to talk to local people about conditions in the area, such as rangers. -Tell somebody about your travel plans. You can for example tell the good people over at www.safetravel.is (or just the ranger you talked to before). -It is good to be prepared for all types of weather as the weather in the highlands can change almost with a blink of an eye. -Be aware that telephone signals in the highlands are not very stable and you can go for a long while without a mobile connection. -The emergency number in Iceland is 112. You are able to call it in the highlands, even without a mobile connection. 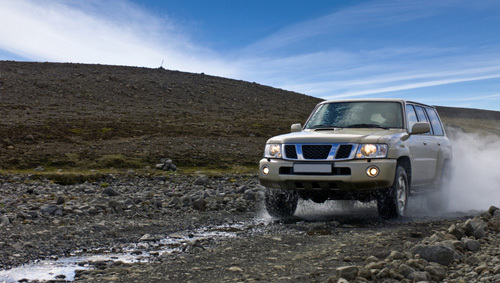 When you cross rivers, make sure that the 4 wheel drive has been engaged before going into the river. Drive very slowly and use the low range if possible. Never switch gears in the middle of the river. Glacial rivers usually have less water in the mornings. During warm summer days, the flow of the river can increase a lot. Heavy rain can also increase the flow of a river substantially. Be aware that rivers can sometimes not be crossed even if the road is open and you are driving a 4x4 vehicle. A good rule of thumb regarding glacier rivers is that if you would not want to wade through a river you should not drive through it. Crossing rivers can be a serious matter if people are not careful. Whenever possible, cross with someone with experience in crossing rivers. Fords over rivers are usually marked and should be easy to spot. Be aware of big rocks that might be under the surface of the water. The worst place to cross is where the water is most calm because that is usually the deepest part of the river. The best way to cross is to follow the torrent diagonally down the river, that way the torrent helps the vehicle over. 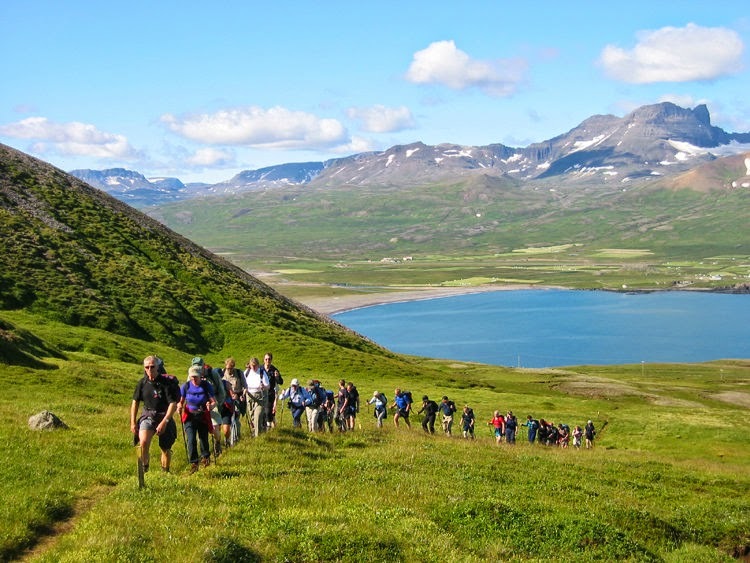 If you prefer a guided tour, we recommend a guided tour from Lake Mývatn to the Askja Caldera with this Icelandic company. You can also make it with a Bus 4x4 from the company Visit Askja. Good price and great adventure! Is it accessible in mid November? 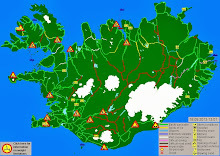 Is it possible to drive to Askja late may beginning of June? Did you end up going? We are there now. We are going to Iceland beginning of July. 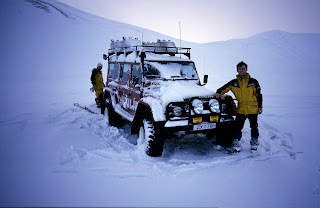 Would it be possible to go to Askja with our 2 Ford Escapes 4WD? Which roads are the best and easiest? 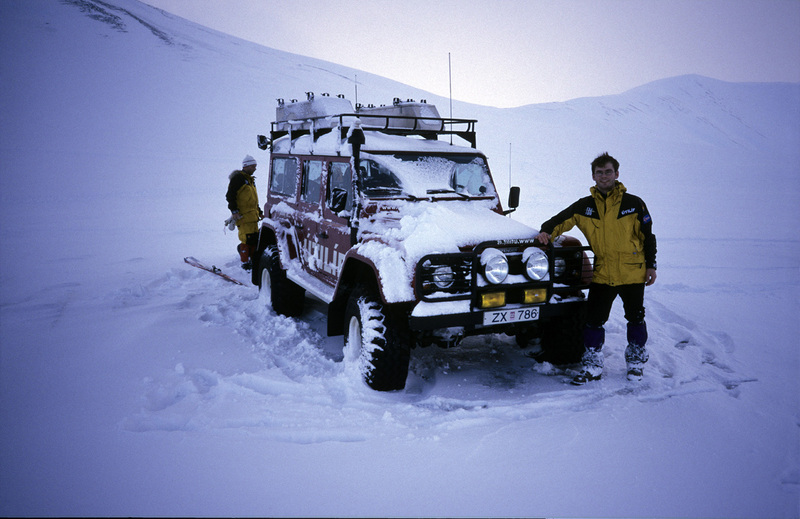 Hey David, would getting to Askja with a Suzuki vitara work out? I know it's a smaller vehicle, but still 4wd. Just want a good opinion! Hey David, planning to get to Askja with a Suzuki vitara early october. Would that be ok? I am going in island the first week of october. I will rent a suziki Jimmy 4x4. 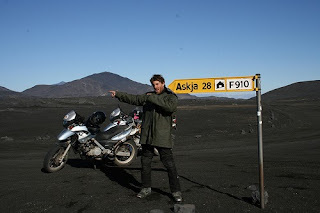 Do you think it will be possible to go to askja by the road f88? I will check the weather the day we wanna go, but if you tell me it is impossible, I will not try. I have taken the 901, 905 and finally the 910 with a suzuki Jimny, no problems at all on August 18th 2018. There were also two other Suzuki Jimny doing same route. Not sure why tou were told it’s madness! Hi, i'm planning to go to Askya on August 20, with a Suzuky Vitara 4WD (+low), it would be better road F88 or F905? in both will have to ford rivers? hello. 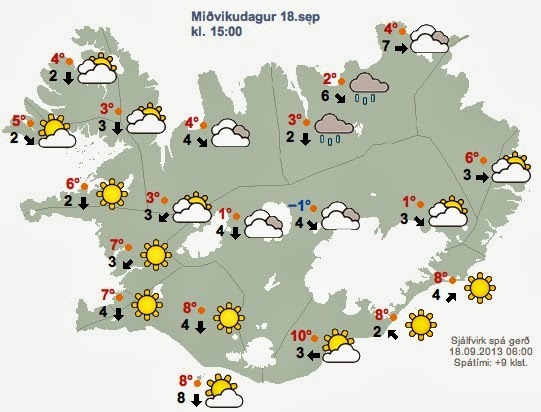 would I be able to drive from Reykajavik to Askja at the end of October with a Suzuki Jimney? thanks. do you think the f road will be still open the frst week of october? It is impossible, sorry. It will be close! I would like to know if you think it would be safe to take the road F88 with a Dacia Duster early September ? I read that there are two river crossings which are quite deep as compared to the ones on F901. If the road is open, you believe it should be ok ? Thanks for the great blog ! Hi David - do you know when in September the road closes? I see it is fine for early September, but not in early October - I'll be there in late September (arriving to Reykjavik on 17th then driving, so likely the 23rd/24th September) - will it be possible to drive there then? We will also be in a Suzuki Vitara, like everyone else apparently! We would like to visit Askja in middle September, we'll be in a Dacia Duster 4WD, it's better to go on F88 road or roads F905 and F910? 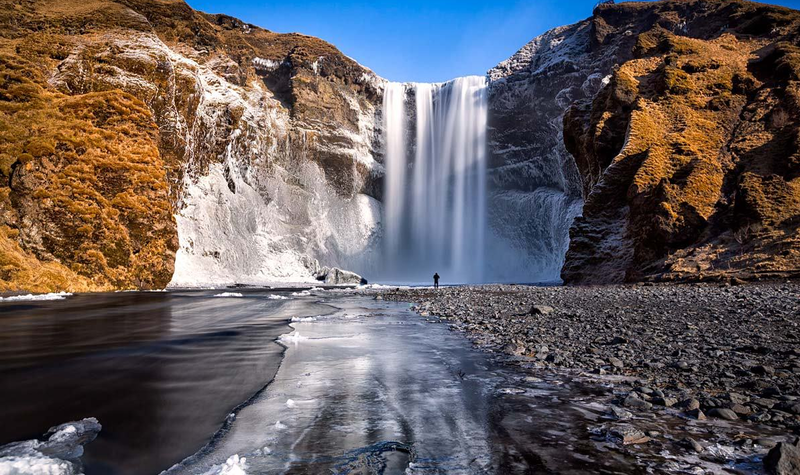 We would like to visit Iceland Highlands next summer in the middle of July. 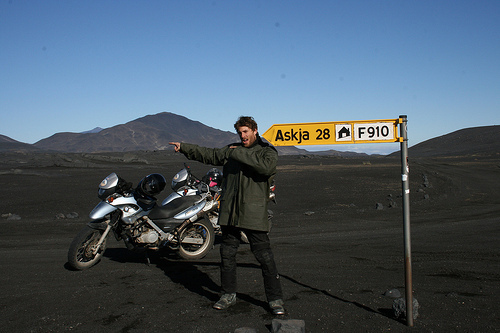 Do you think it is madness to go on the F910 (the north one) from Askja and turn on the F26 to join Landmannalaugar with a Suzuki Jimny ? Of course, if the wether is too bad the days before, we would take the East Road and join Landmannalauger by Road 1 / F26 and F208 (even if it seems a 12 hours detour). It’s not. Call 1777 or talk to the information center at the beginning of the road, just before 905, they will tell you it is ok with suzuki jimny. HI David. We're planning to go to Askja from Lake Myvatn in October 2017. 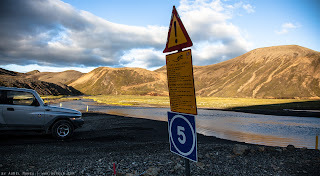 Is the road to Askja closed every October or just 2016. We are planning to be there about 16-17th October. If so, is there any other way we can get there at this time. F-Roads to Askja usually open by June, I don't think it'd be possible. Well I personally think the vehicle is not big enough. Go for a bigger one or join a 4x4 bus tour. 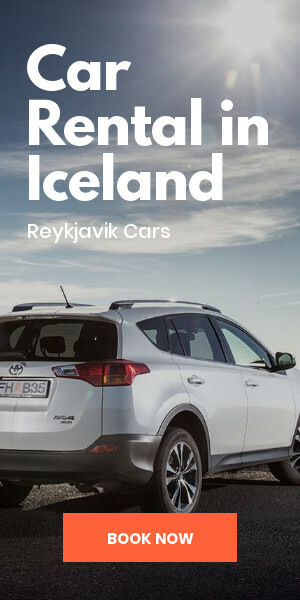 I would be visiting Iceland in mid June, and i would be renting Kia Sportage / Honda CR-V 4x4. Do you think it's possible for my friends and i to reach Viti? The dip into the lake seems really tempting. Hello! It depends on the weather... The car is big enough but roads will need to be open at this time of the year. Hello, we were wondering if we would be able to get there with Fiat panda? We thought about the easier path with 2 crossings... would appriciate your input. Its for Aug 16th. After few sunny days. P.s. we did not have anny issues in F35 of any of the off roads in the west fjords. 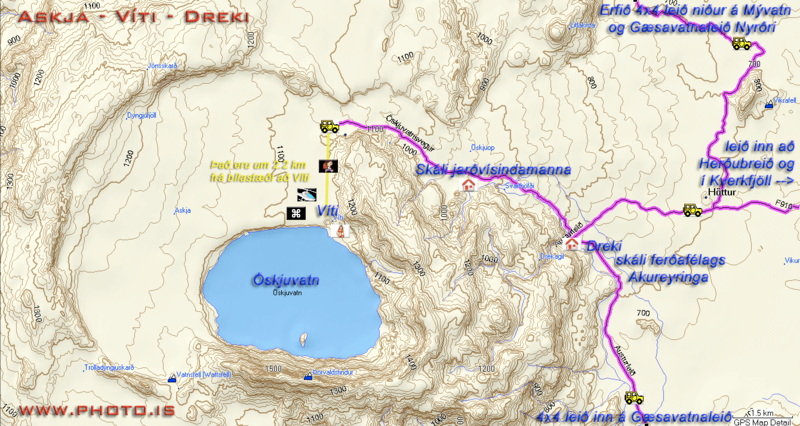 Askja is one of the most complicated roads, it requires tall, all terrain 4x4. I do not think the Fiat panda will do, too low. Hi David, thank you very much for the useful information! We'll be in Iceland next week (end of August); do you think is it possibile to drive F26 with a Vitara? Check with your rental company if they allow you to take the Vitara there. It is a 4x4 so it should. HI David. 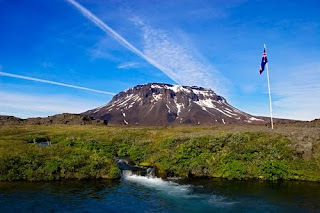 We're planning to go to Askja (Viti lake) from in 1 July. Can we get there with Volvo XC 70 and which road will be better - F88 or F905? On a good day, F88. Be sure to check the road conditions,there are glacier rivers to cross. If you are not an experienced driver, do not do it. Also a taller vehicle is recommended. hi David - great article! exactly what one needs to know about Askja and how to reach there. Your advice eis very much appreciated.. I will arrive in early April , is it possible to get to lake viti in a VW Toureg or Suzuki Vitara? April impossible... You can get there with a super jeep of a private tour operator but i can tell you 100% it is impossible with a rental car. Hi. I am trying to visit Askja on July 6th. I will be traveling alone and driving a Mazda CX-3. I have driven many of Iceland's F roads, but none that involve a river crossing. During the beginning of July is it possible to have an idea of how treacherous the river crossings may be? I really want to make it to this spot, but am hesitant as I am going to be alone. Thanks! If you do not have any experience, it is better to join a tour or do it with an expert guide. 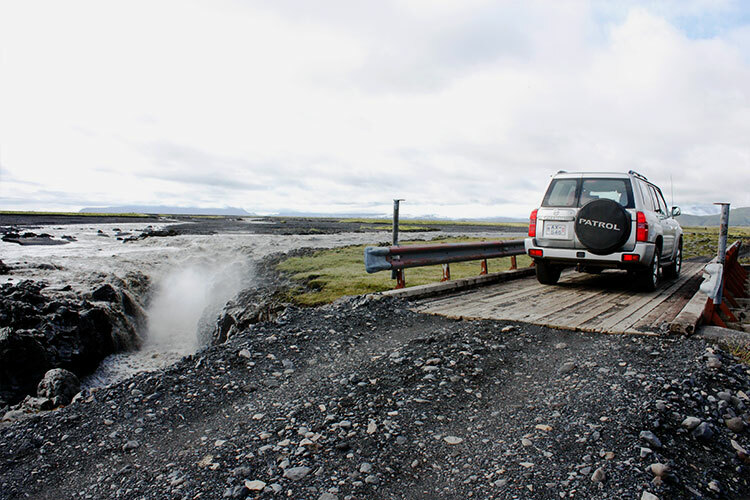 Rivers in Iceland are indeed treacherous as the rain in a higher place can make the river deeper in a matter of hours. 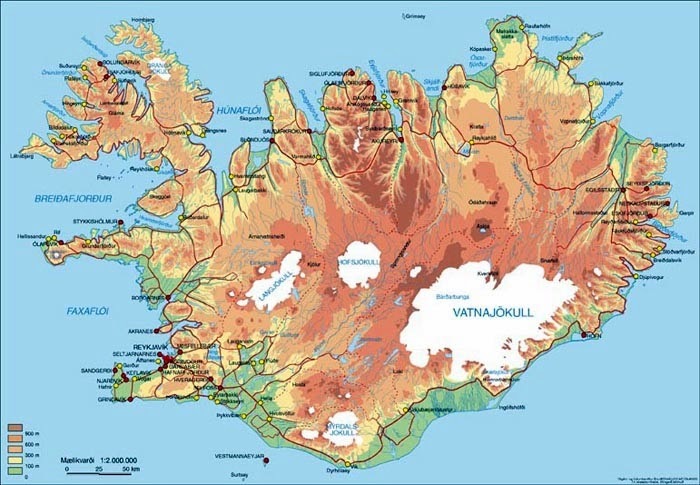 I just bought our ticket to Iceland 19-26 June. Hopefully roads will open then, I know there is a risk. I am planning to rent a Duster or Vitara or so, to save money. As I see from comments above they might can make the tour depending on conditions, but there is a risk they can not do. For plan B I would rent a bigger vehiche in Reyklahlid. Any advice on that? June is usually a "sunny" (as sunny as it can get is Iceland) season. Usually roads start to open on the 20th approximately but that changes every year. I only recommend going to Askja on your own if you have enough driving experience on hard and complicated roads. If renting a vehicle, make sure it is all terrain and a tall one. Could you please point me in the direction to find a reputable private tour operator? We will be in the area mid June 2019. Hi Tracy! thank you for dropping by. In the last paragraph you have a link to one of the most well known companies in Iceland. 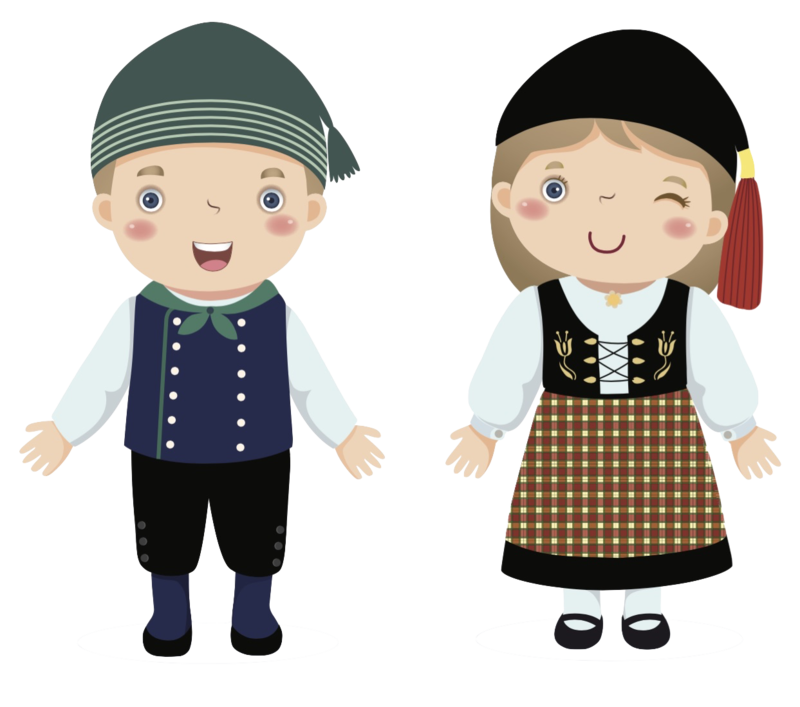 You can check it out an compare to others to find the one that suit you best!